Backtrack, Britain's Leading Historical Railway Journal, covers all aspects of railway history from its earliest days through to more recent events up to around ten years before now including, early railway history from the 'pre-Stephenson' era, steam, diesel and electric locomotive history, railway company history, railway carriages and wagons, railway stations, railway ships, hotels & road vehicles, railway economic and social history, railway publicity and advertising. Backtrack's contributors include many of today's leading railway history writers. From the beginning the magazine has maintained a reputation for its production values and each issue contains a wealth of photographs reproduced to the highest standards, including a generous selection of historic colour. 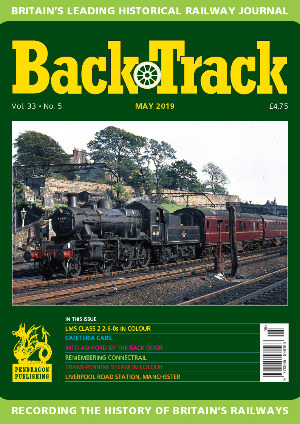 Published monthly, Backtrack is THE magazine for all who are interested in British railway history.